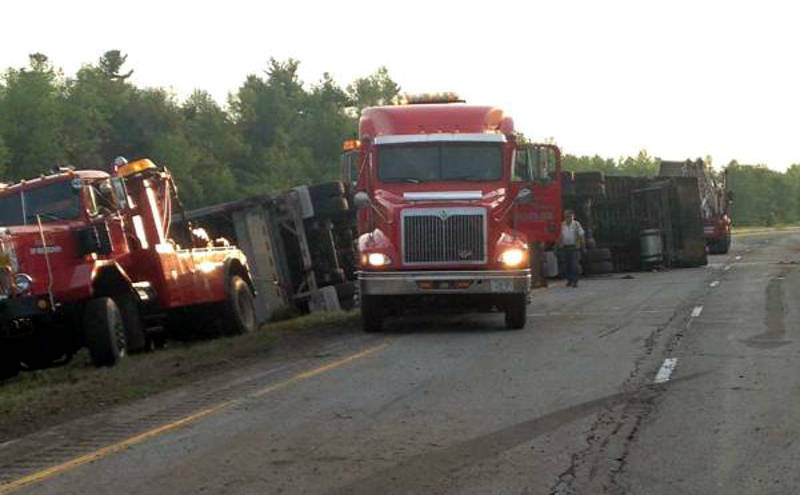 AUGUSTA – An eastbound section of Highway 401, east of Brockville, was expected to be closed for most of the morning after a tractor trailer rollover. Grenville County O.P.P. said a white 2006 Volvo tractor-trailer with a double trailer was heading east around 4 a.m. when the truck caught the left shoulder. The driver then lost control of the rig, which flipped on its side. It happened about 1.5 kilometers west of Merwin Lane in Augusta Township. The operator from Quebec managed to walk away with only minor injuries and has been charged with careless driving. The eastbound lanes reopened around 2:30 p.m. Wednesday.